Today is Pentecost Sunday and so St. Anthony's cracked out the incense. We do not usually have incense. There is some technicality that trips us up. And today we completely overdid it. The church was a haze by the time the Mass was over! The sun's rays were thick with incense. The baptismal font where Leonard Pennario was baptized was obscured. By the time we were singing the Regina Caeli I was actually starting to cough. But I loved it. I love incense! So does the Holy Spirit who, descending from heaven, had no trouble finding St. Anthony of Padua Church, Buffalo. "Yep, there they are. You can tell by where that huge cloud is." 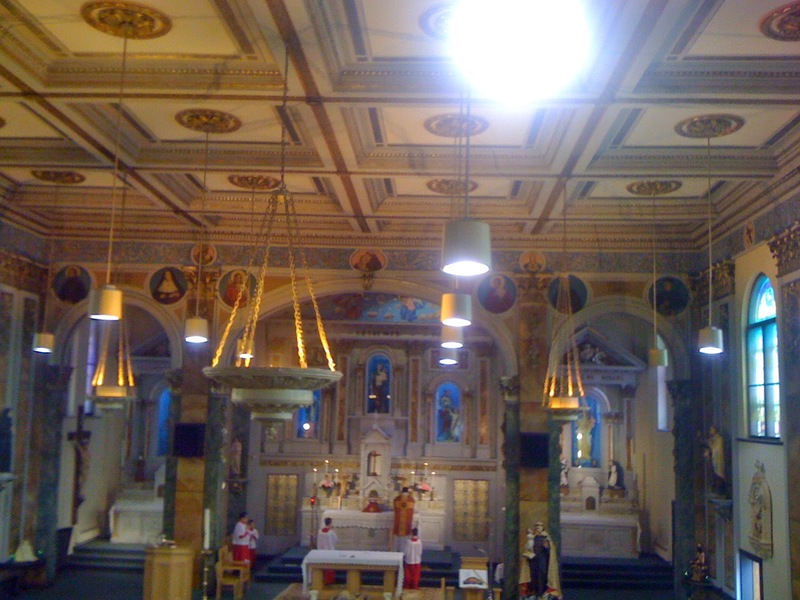 In this picture you can sort of see the one altar boy swinging the incense. Yes, we had fun. Next Sunday is Trinity Sunday. I hope that means we will have three times the incense! We need to have more people sit in the front. 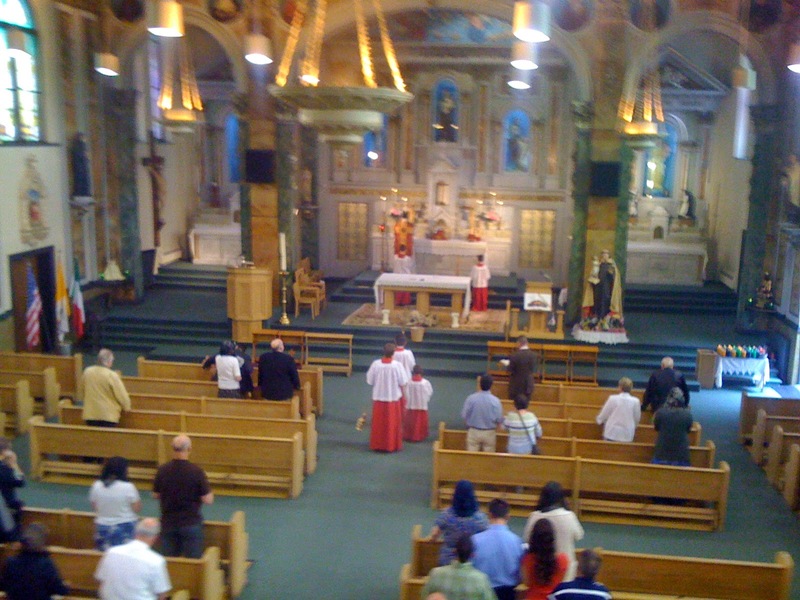 We have a decent crowd of people at that Mass yet the pews in the front always look empty! haha! Bing, I was thinking the same thing! St. Anthony's does usually draw a big crowd but in the picture we look like losers with nobody there. p.s. When are you going to come with me to Coffee Hour? You have to meet Dorothy! I am so out of the loop with coffee hour -- I actually never go because I don't know anyone there well enough to hang out with them for coffee. Let me know when the next one is so I can join you two lovely ladies! !